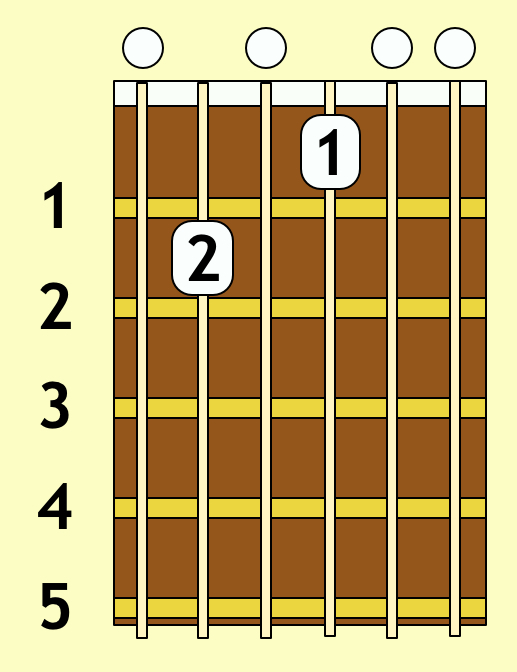 The diagrams below show some useful guitar chords for the beginner. 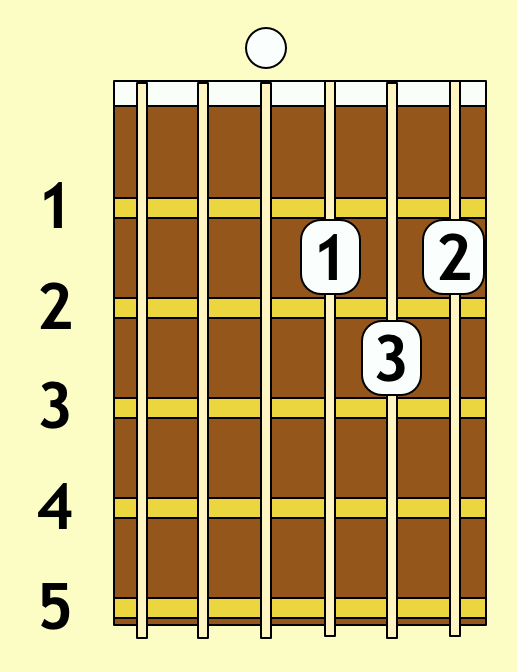 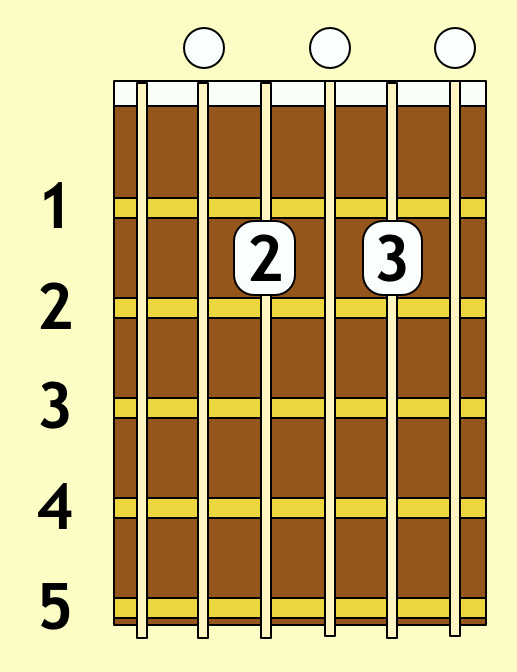 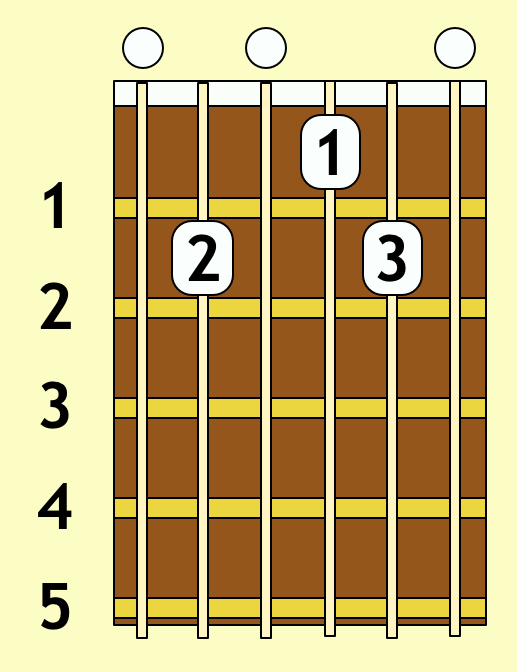 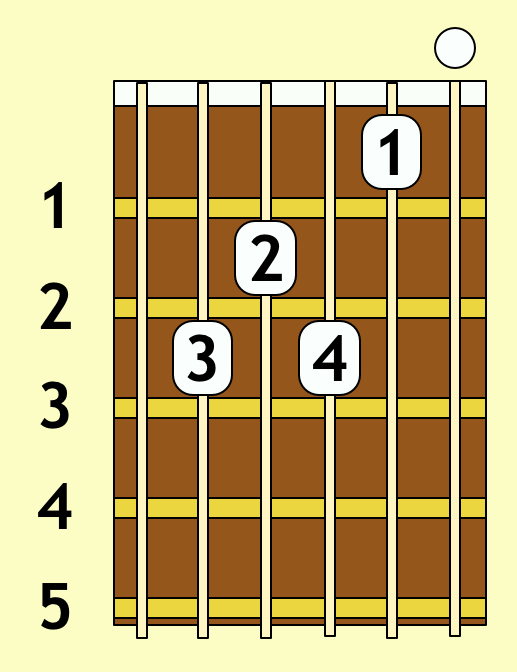 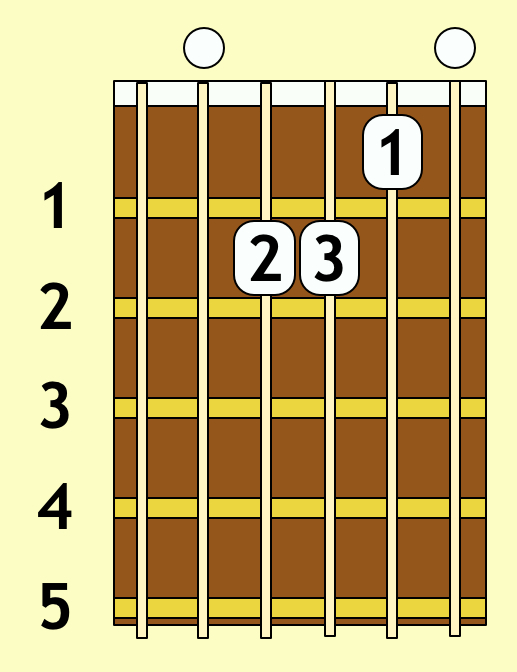 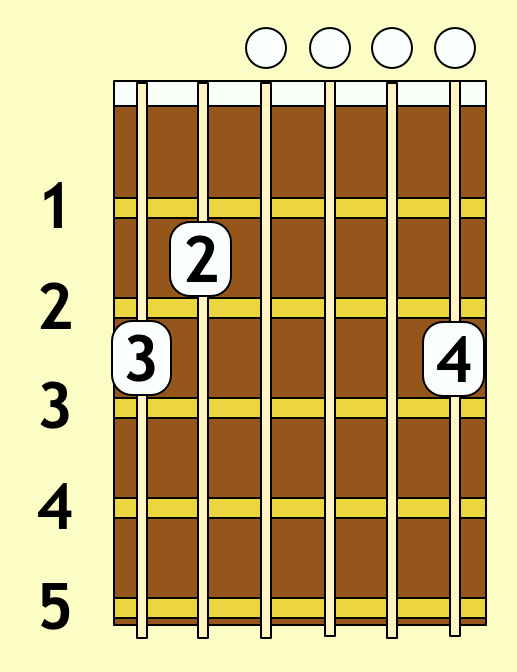 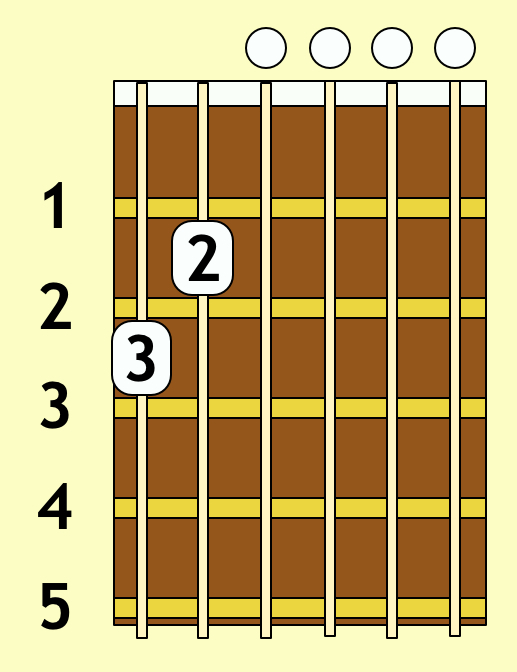 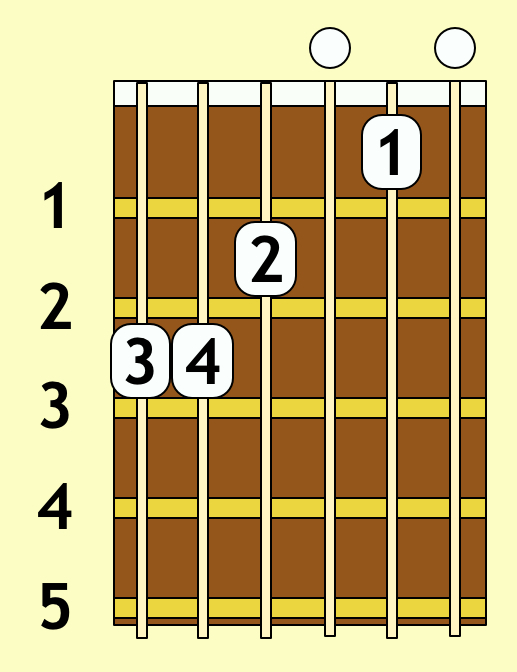 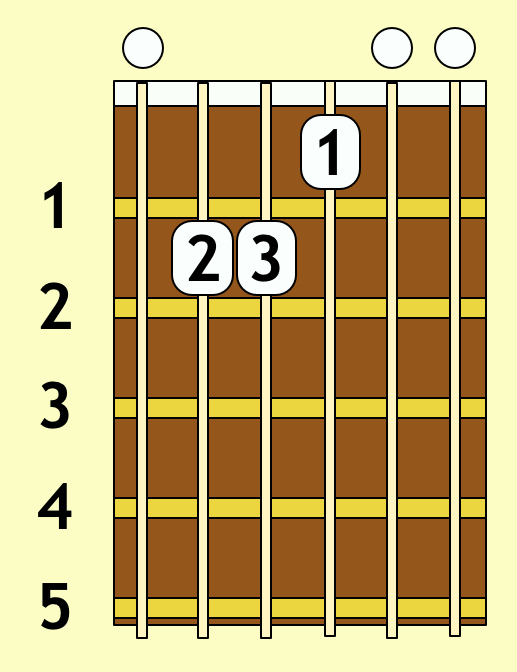 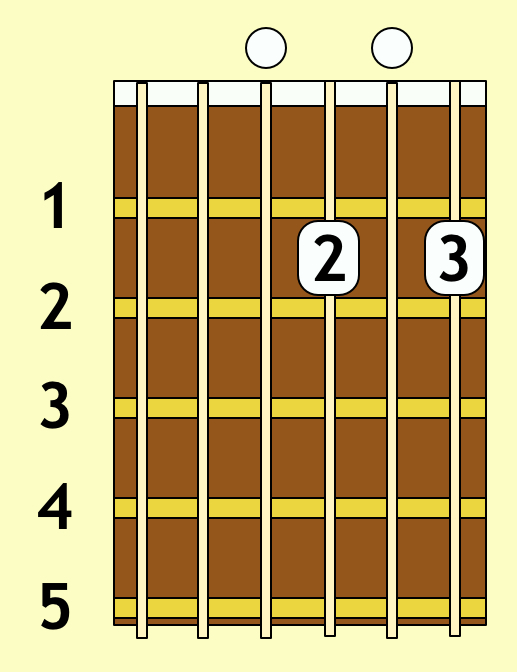 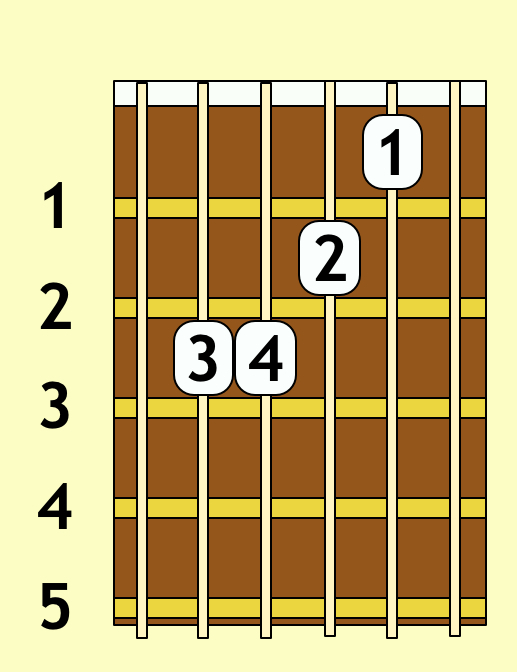 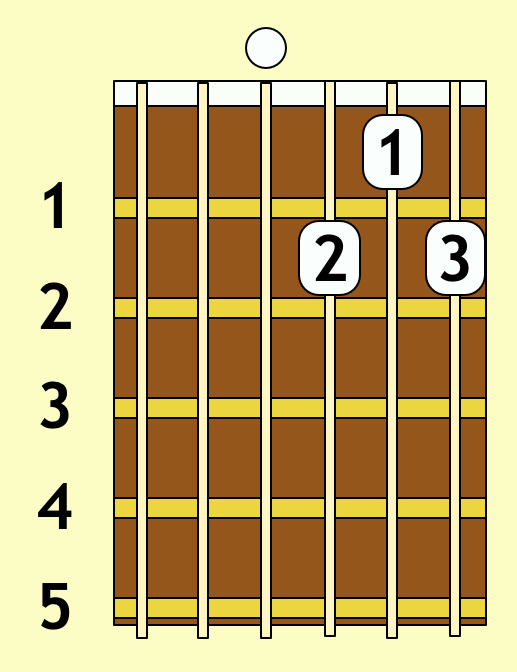 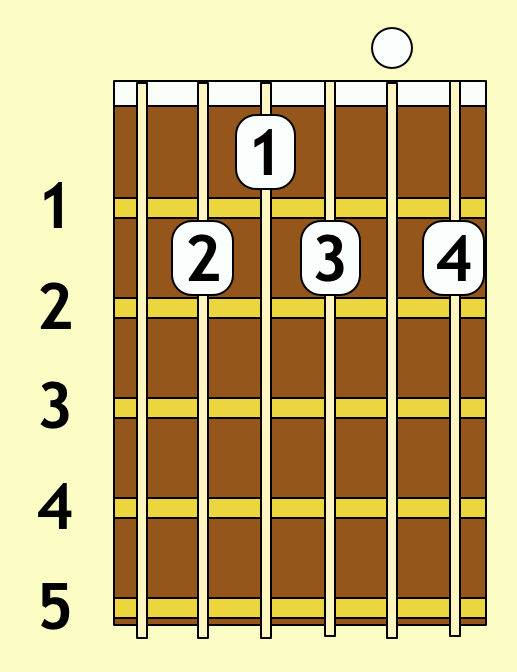 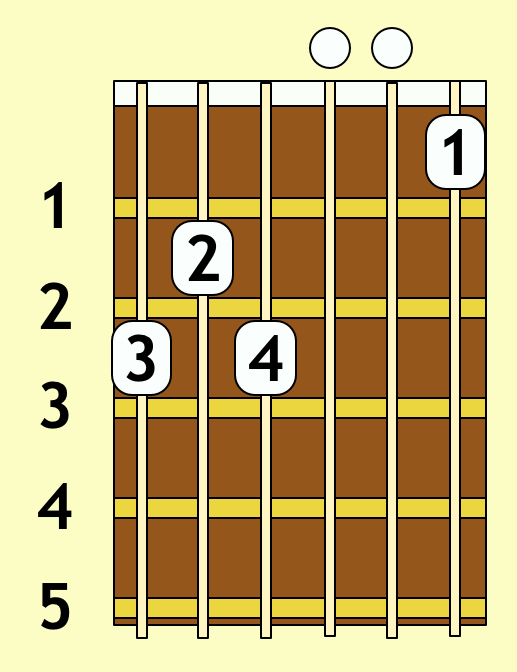 The numbers in the circles indicate which finger to use on the fretting hand. 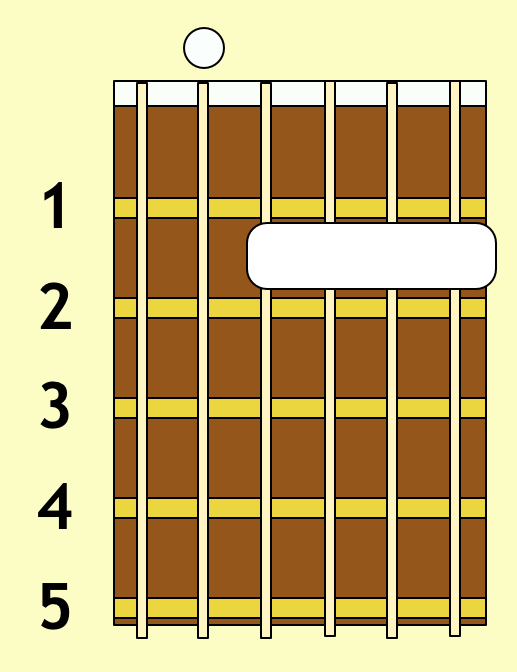 The small circles above the strings indicate they are played open. 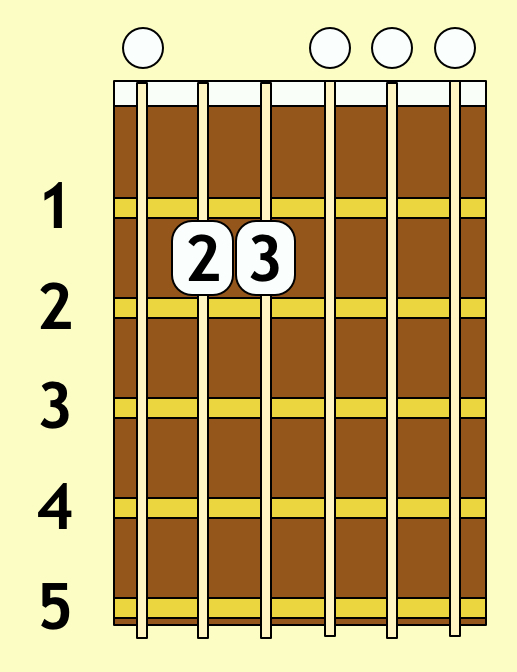 Strings with neither a numbered string nor an open string symbol should not be played.